Mary Russell returns in this, her tenth book in one of my very favorite mystery series. As the previous book left so many issues unresolved, I was anxious to get back to the story to find out how things were going to turn out! 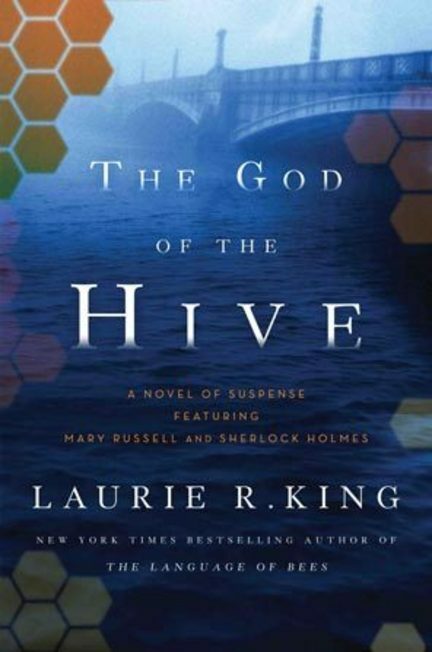 The Mary Russell series definitely bears reading in order, particularly with this book, which picks up so many plot strands from the previous installment in the series. Slight, unavoidable spoilers may follow, so be forewarned! Mary has had to leave Holmes and his gravely wounded son, in order to keep Holmes' granddaughter safe. She feels ill-equipped to deal with a small child, even one as bright and precocious as three-year-old Estelle. They find themselves stranded in the woods with a puzzling but thoroughly likable young man whom Mary can't help thinking of as Robin Goodfellow. Meanwhile, Holmes has abducted a doctor and has set sail to parts unknown, trusting in Mary to keep Estelle (and herself) safe, and hoping that prompt medical care might save his son, too - but a net that they don't even realize is there is slowly closing in on them. Quick, periodic glimpses from the point of view of the killer who has masterminded the entire complicated scheme serve to ratchet up the tension along the way (but occasionally left me feeling rather blatantly manipulated). I continue to adore this tightly plotted, well-written series, with its deft characterizations and evocative settings, but I what I love most is that feeling I get when I open one of these books, that confidence in the author that gives me a delicious feeling of anticipation as I prepare to enter a beloved world with characters I have come to care deeply about, knowing I'm going to enjoy myself immensely along the way.